With this timelessly elegant EcoJuicer XXL juice squeezerfrom oneConcept, you get to experience a brand new fruit juice experience everyday. 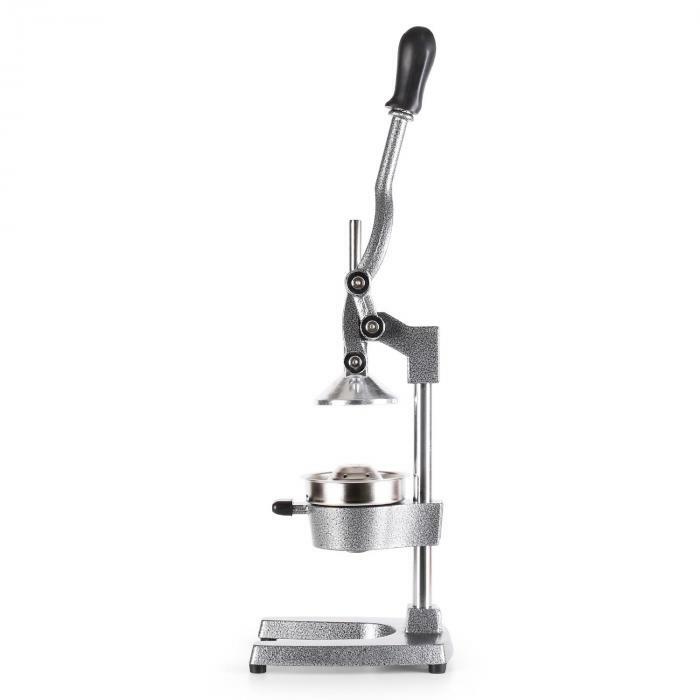 Its smooth mechanism puts a large amount of pressing forceon the fruit with just a light amount of pressure on the lever. 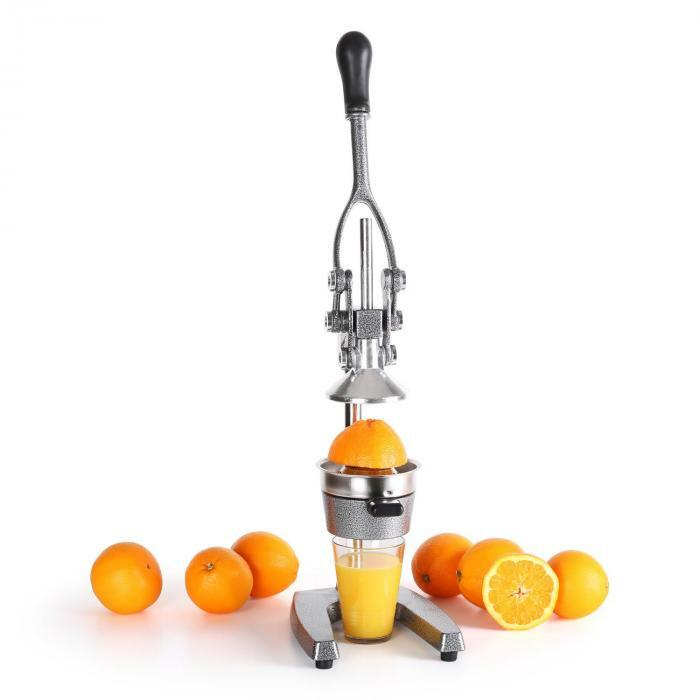 The oneConceptjuicer lets you handle any task with ease, whether its oranges, grapefruits,lemons or limes. Just like the saying: less work, more fun! As the EcoJuicer XXL only relies on a little muscle power towork, you don't have to worry about having a mains power supply nearby. Thismakes it perfect for use in garden houses or in caravans. 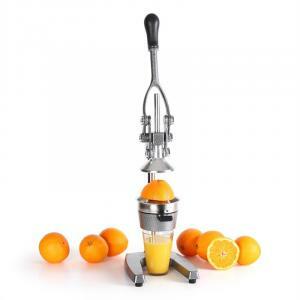 The oneConcept juiceralso avoids the loud, often annoying, noises that electric devices produce. 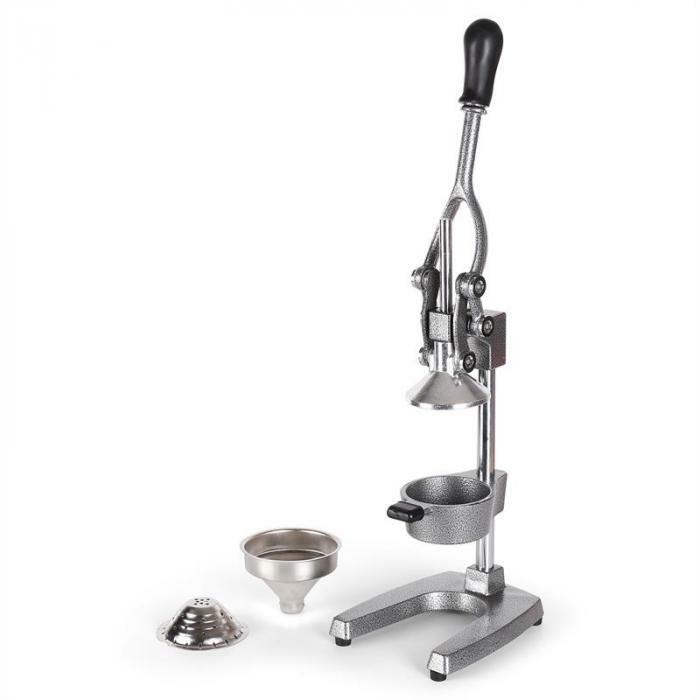 Notwith the EcoJuicer XXL! The quiet, almost meditative, process of juicing yourfruit is the perfect preparation for the coming treat. 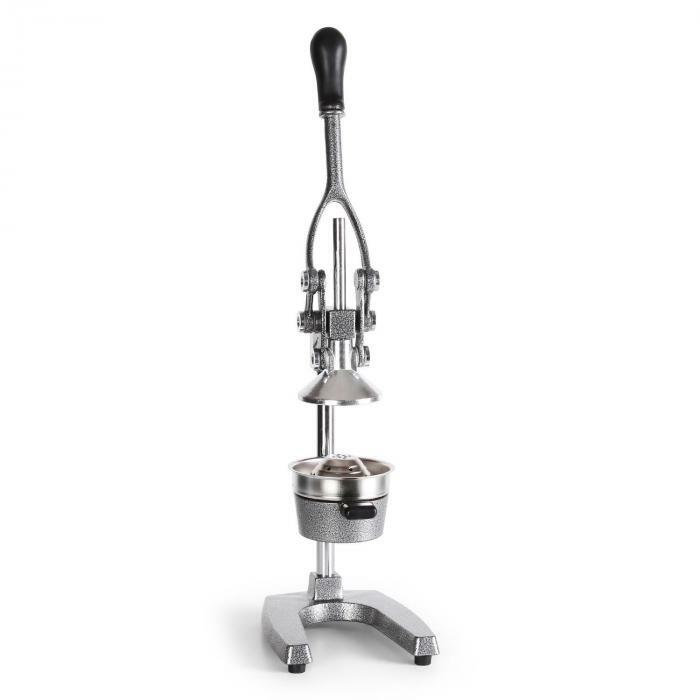 The EcoJuicer XXL can becleaned extremely easily once you're done. Any parts that come into contact with the fruit can beremoved and cleaned separately. 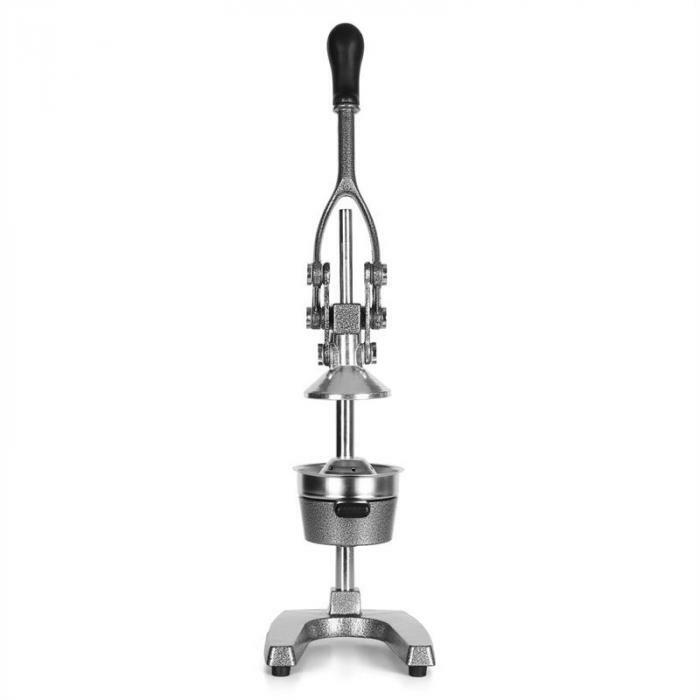 Whether it's by hand or in the dishwasher, thestainless steel parts leave both options open.